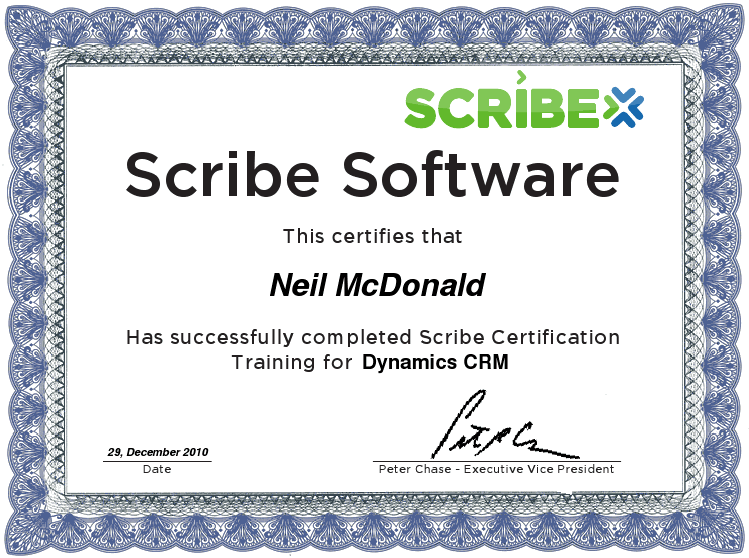 After using Scribe for most of my CRM integrations for the last 2 years, it was about time I took the certification exams. Although I have been using the product for some time, the training material provided was invaluable and I learnt a lot that I would never have picked up in day to day use. It’s well worth reading/watching if you use or are planning on using Scribe. I’m pleased to say that I passed both the Server and CRM adapter exams. Not a bad start to 2011!